PETERS and CO are RENTING this FIRST FLOOR 2 Bedroom Apartment, lounge and shower room. Central village location, ideal for commuting, located in an up and coming area. AVAILABLE 20TH MARCH PETERS and CO are renting this 3 BEDROOM, SEMI DETACHED HOUSE, with off road parking, located in the popular village of Pontyberem. With Kitchen / Dining Room, Lounge, 2 Bedrooms, Garden to rear, Gas C.H. 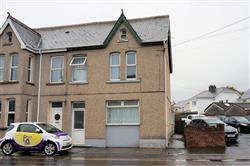 Peters and Co are renting this 3 Bedroom Semi Detached House located in the popular village of Drefach. Off Road Parking to the Front, Garden to the Rear, Upstairs Bathroom, Lounge, Dining Room, Oil Central Heating.